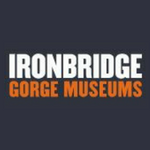 Find out how iron, and particularly Coalbrookdale iron, changed the course of the world in this brand-new museum. See stunning exhibits, exquisite art castings and functional cookware all made from iron and displayed in the former Coalbrookdale Great Warehouse. There are 2490 listings and 149 reviews.